The following is an opinion article written by Seth Birnbaum, CEO of EverQuote. In today’s digital age, the processes of many industries are moving to a predominantly online space. With multiple devices that access the internet at any time or place, customers now expect the information they’re looking for to be available at their fingertips. This is especially true in the auto insurance industry, with insurance companies developing mobile apps that make it easier for customers to submit claims and view policy information from their phones or computers. And when you consider consumer buying habits, the trend is clear: 71% of auto insurance shoppers started online last year. 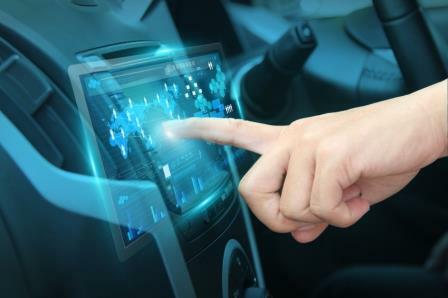 Because of such increased digitization, some may wonder why auto insurance agents are important. If consumers are shopping online, what is the point of having an in-person intermediary? Are they needed in a world that is so integrated with the internet? The answer is yes. Auto insurance agents are still needed in the modern world and in fact, they are as important today as ever before. A 2016 J.D. Power study found that while 74% of consumers do use insurer or marketplace websites to obtain quotes, only 25% actually buy their insurance policy online. In-person and over-the-phone contact is integral to a sale. Despite all of our high-tech gadgets and devices, consumers still value human contact over all else. A website, virtual agent, or mobile app is not always a good enough replacement to handle a more complex product like auto insurance. While shopping starts online, 50% of auto insurance shoppers close a purchase through direct contact with an agent, and 22% do so by phoning a call center. 74% of consumers who have never purchased an auto insurance policy online cite the desire to meet or speak with an agent as the top barrier to future online policy purchase. Only 10% of agency writers’ new business is closed on their website. Consumers still want to talk to a person to have their questions answered. While insurance may often be perceived as a commodity, it is still a complex and difficult product to configure. There are several types of coverage, deductibles and options available as well as different levels of mandated coverage from state-to-state in the US. With bundling options, laws and discounts—it can be difficult to create an online experience that gracefully handles such complexity. That’s why insurance agents are so important. While consumers may start their search online, they don’t end there. Agents provide consumers with more than a policy sale, and no online bot can replace that level of expertise. Agents are knowledgeable, offer advice and help auto insurance shoppers make informed decisions. Consumers can make sure that they are getting the right coverage and ask any questions they have about their policy. Additionally, agents are often more aware of available products than consumers are and can assess consumer risk management or help determine the level of coverage that is needed for unique situations. They may also know about discounts and current trends that consumers do not know of and that a website or app will be challenged to present clearly. Furthermore, 88% of insurance consumers are looking for more personalization in insurance. Agents can help satisfy that demand with over-the-phone or in-person contact. While websites can personalize messages and sales, agents can often do more. Good agents know their customers, and that offers a unique value proposition to consumers, as all of their questions can be answered in one place and their agents are aware of their needs. That said, insurance shopping is a multi-channel experience. Agents and insurers need to create a seamless online to offline transition to avoid the risk of losing potential customers. If customers start their search online, they need a way to get in touch with an agent quickly. While insurance carriers spend billions of dollars on marketing each year, they often struggle to acquire desirable customers for their underwriting preferences. On the other hand, agents often lack the scale and technology to compete online. Services and software from online marketplaces are available to help agents cross over the barrier from digital to phone and in-person contact. Today’s technology does not impede the value of insurance agents - in fact, it proves their worth. Agents only need to understand how insurance consumers are shopping and use that to their advantage. Considering that price is the main factor involved in a consumer’s decision to purchase insurance, it’s critical that agents leverage the tools necessary to make themselves readily available online so consumers have the best opportunity to find the right coverage at the right price. Agents are knowledgeable about what their consumers need and how to find it. This distinct advantage, coupled with a strong online presence, will help them succeed in the modern digital world. The preceding opinion article was written by Seth Birnbaum, CEO of EverQuote. The views expressed within the article are not necessarily those of Insurance Business.